Amazon S3, the retail giant’s online storage web service, how holds more than 762 billion objects on its servers, growing from 262 billion objects a year earlier. Posting to its AWS blog, Amazon said that it now processes over 500,000 requests per second for objects on its servers at peak times and saw year-over-year growth of 192%, ensuring it grew faster that it did in any year since it launched five years ago. 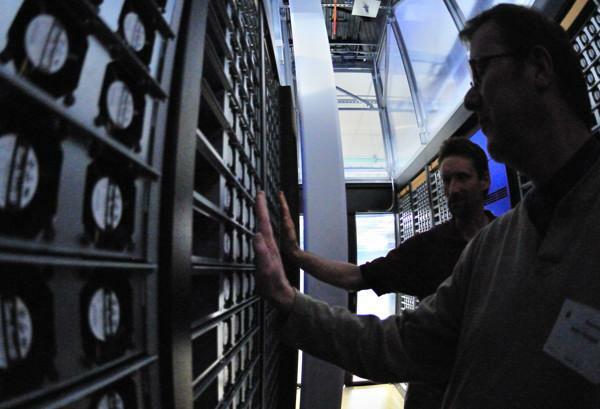 On January 30 2011, Amazon’s Jeff Barr, Senior Manager of Cloud Computing Solutions at Amazon, reported that in just one year, Amazon S3 added 160 billion objects to its Cloud servers, more than doubling in size in that period. At the time, its peak request rate for the S3 service was above 200,000 requests a second. 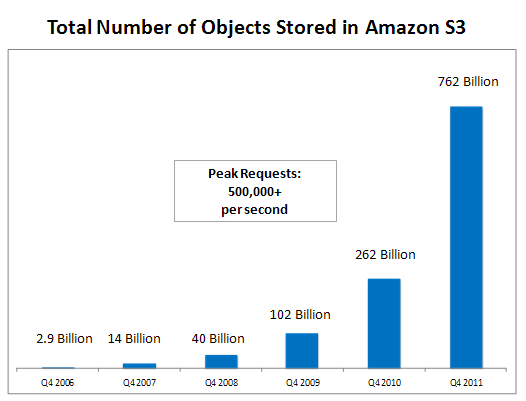 Nine months later, the company had reached 566 billion objects stored, with Amazon’s Cloud storage platform adding nearly 200 billion objects in just little more than three months.